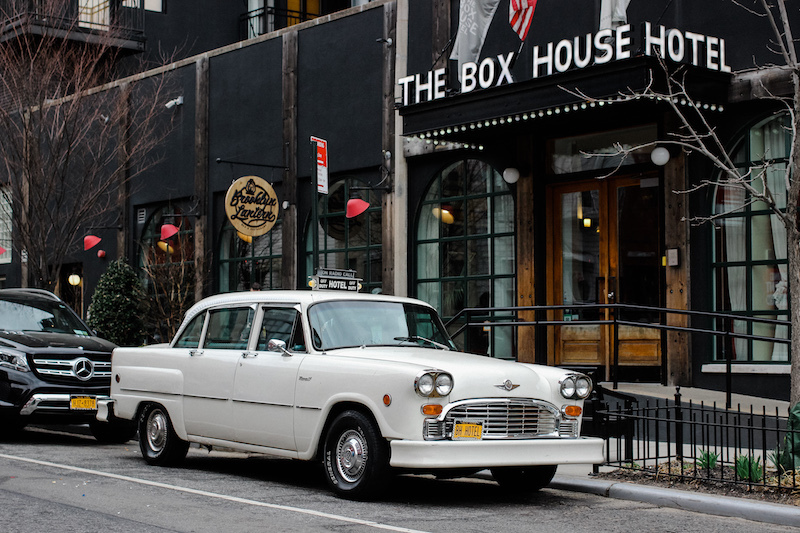 My boyfriend and I recently had the opportunity to spend a weekend at The Box House Hotel in Greenpoint, a neighborhood we frequent as residents of Long Island City just minutes away. If you ever find yourself passing over the Pulaski Bridge in New York, this hotel is likely the first thing to catch your eye. With a bold black exterior and gorgeous glass-encased rooftop space, The Box House is a standout building among Greenpoint's quiet streets. The first thing that struck me about our loft suite at the hotel was its size. It was at least double the size of any other New York hotel room I have stayed in and fully equipped with all kitchen necessities, a cozy lounge space, and a bedroom separated by a closet partition. With two TVs and natural light that flooded into the room, it was the perfect space for relaxation all weekend.